consisting of separate panels of Siberian rhodonite mounted in yellow gold, the border of the lid decorated with a chased foliate and floral design flanked either side be bands of opaque white enamel. A set of English import marks were added when the box was imported for sale into Britain in 1912. The box was purchased by Mrs W B Leeds on 14th December, 1916 from Fabergé in London for £75. Mrs Leeds was an American heiress living in London. She later married Prince Christopher of Greece and became Princess Anastasia of Greece. 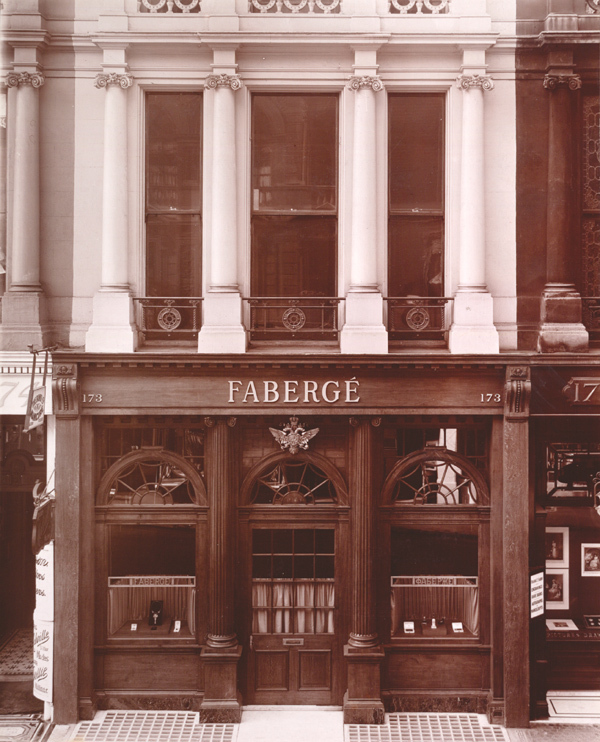 The box is illustrated in ‘Fabergé in London’ (McCarthy, 2017) on page 168 and 169. Rhodonite is a form of manganese silicate, which derives its name from the Greek word for rose. 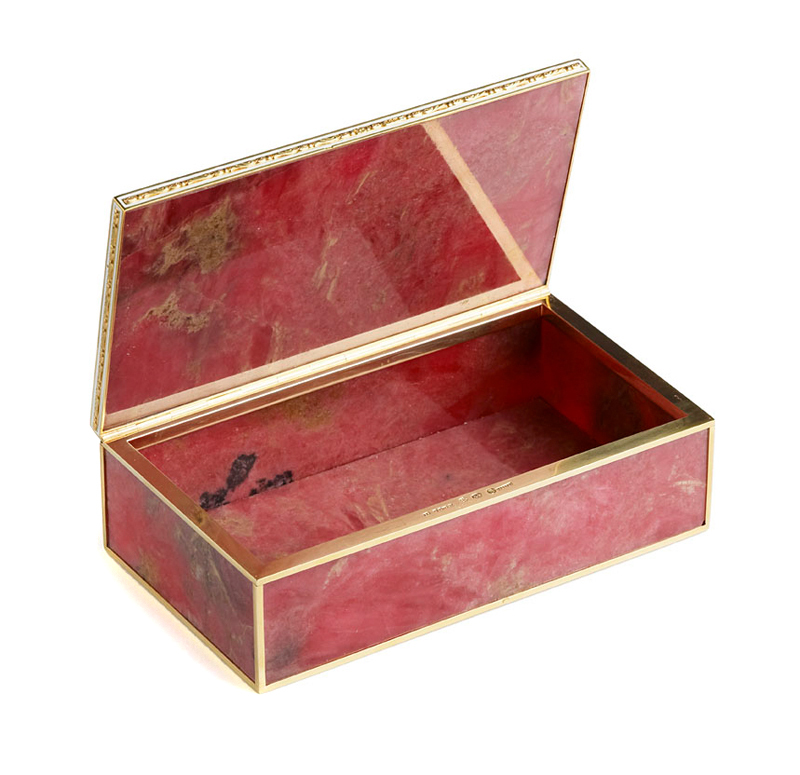 The stone was identified as ‘pink orletz’ in the company’s ledgers and was sourced from the Ural Mountains in Siberia.